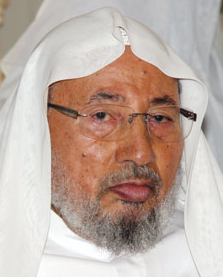 Sources close to Qaradawi have said that he is considering relocating to Turkey due to the deteriorating relations between Qatar and the Gulf countries. An agreement has been reached to form a new Islamic alliance of Arab and Islamic countries to be headed by Turkish Prime Minister Erdogan. The agreement was said to have been reached during meetings of the “International Muslim Brotherhood” held on the sideline of the Istanbul conference and where Erdogan and Egyptian Muslim Brotherhood figure Amr Darrag were present. Tunisian Muslim Brotherhood leader Rachid Ghannouchi will take over IUMS from Qaradawi. The GMBDW cautions that as noted, this Egyptian report cannot be independently confirmed and appears to be contradicted in part by Qatari media reports that Qaradawi was re-elected as IUMS Chairman during an election held at the Istanbul conference.